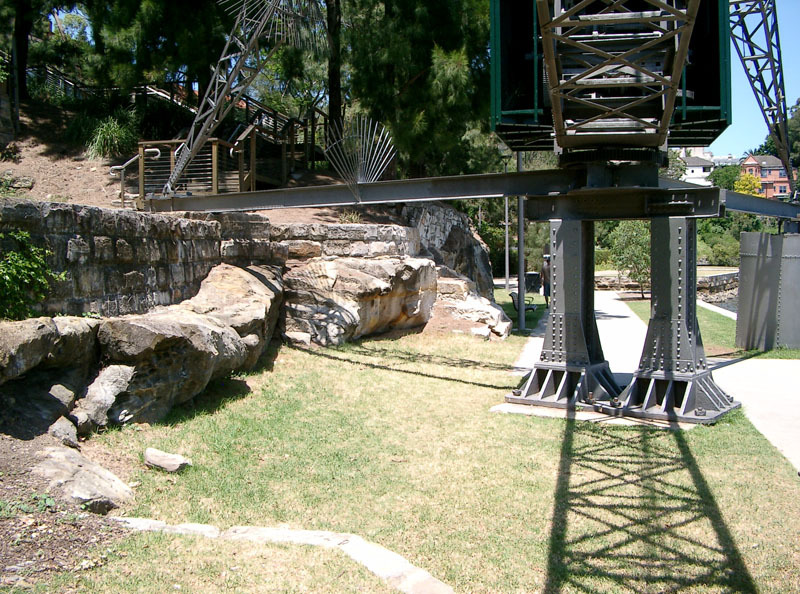 This exposure shows many of the features associated with Hawkesbury Sandstone – massive and cross bedding; near vertical jointing; iron oxide deposits along joint planes; Liesegang rings. This exposure shows many of the features associated with Hawkesbury Sandstone – massive and cross bedding; near vertical jointing; iron oxide deposits along joint planes; Liesegang rings. Note the vertical, semi-circular “holes” on some of the rock faces – these are the remains of the blast holes used to explosively excavate the rock faces. Also note a major, open joint, parallel to an excavated face. This is potentially unstable and a small rock fall may occur here.